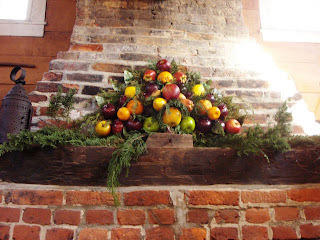 Weekend Historical Happenings: 12/1/12 - 12/2/12 ~ The History Girl! This holiday season Liberty Hall will be decorated in the ornate Victorian style. You will hear about Victorian Christmas traditions as the servants put the final touches on the decorations for the Kean's holiday festivities. Program Fee: Adults: $10.00, Kean Alumni: $8.00 Seniors, College Students, Children: $6.00, Under Three: Free. Liberty Hall is open Monday - Saturday from 10:00 am to 4:00 pm. It is located at 1003 Morris Avenue, Union, NJ 07083. For more information, call 908-27-0400 or visit www.kean.edu/libertyhall. This Saturday the Bridgeton Holiday House Tour will display its annual pick of architectural treasures in the largest historic district in New Jersey, a district also celebrating its 30th anniversary this year. Our traditional Mamie O'Rourke theme still rules: Your $20 ticket buys you East Side and West Side (running 1:00 - 5:00 pm and 3:00 - 7:00 pm respectively) and a front-row judgment seat on our traditional friendly competition for the most stunning holiday decor of the season. Featured this year are two site recipients of the City's 2012 "Bridgeton Rose" Historic Preservation Awards: the just-restored Craftsman-style Bridgeton Fire House (1898) on the East Side (displaying the Bridgeton FD's original 1877 Silsby Fire engine) and the one and only Potter's Tavern on the West Side, where colonial South Jersey's young patriots fired themselves up for the American Revolution. Bridgeton's downtown "village" offers crafts, antiques and food shops. Strolling carollers (Off Broad Street Players) and horse-drawn carriage rides are free with your all-inclusive tickets, still available from Bridgeton Main Street (856-453-8130/973-864-4001) or on Saturday at either St Andrew's Episcopal Church (186 East Commerce) or The Canvas Bag (46 East Commerce). 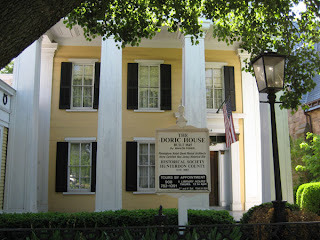 All the contact information, directions, maps and pictures you will need are at www.bridgetonhousetour.com. Enjoy Christmas in Roebling hosted by the Roebling Museum on Saturday from 12:00 noon - 7:00 pm. There will be organized historic house tours and the Roebling Museum will be open. Tickets for the house tours and museum tour are $20. Santa will visit the Roebling Auditorium (old firehouse) which will be beautifully trimmed with trees and crafts will be available for children. There will be ethnic foods and Christmas cookies for sale in the auditorium. The Roebling Museum is located at 100 Second Avenue in Roebling, NJ. For more information call 609-499-7200 or visit www.roeblingmuseum.org. The Griggstown Historical Society's Annual Greens and Goodies Sale will be held on Saturday from 9:00 am to 12:00 noon. The sale of beautiful wreaths decorated with holly and pine cones, boxwood kissing balls, boxwood trees, and centerpieces, along with delicious baked goods will take place at the charming 1830 one-room schoolhouse behind the Griggstown Reformed Church, located at 1065 Canal Road in the Griggstown section of Franklin Township, Somerset County. For more information, please contact Nancy Allen at 908-359-3589. 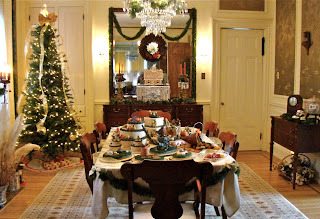 The magnificent Trent House will be decorated for the holidays by the talented members of the Garden Club of Trenton. Tour the house between 12:00 noon and 5:00 pm while enjoying magical colonial-era harpsichord music provided by Carl Nittinger. At 3:00 special holiday choral music will be provided in the Trent House by the Capital Singers of Trenton, directed by Richard Loatman. Complimentary refreshments will be served. Beautifully designed table arrangements and decorated wreaths will be available for sale to decorate your magnificent home, created by the Garden Club of Trenton. Cut Christmas trees, undecorated wreaths, and loose fresh greens (holly, ivy, yew, boxwood, juniper, winterberry, pine and magnolia) all will be for sale and awaiting your creative touch. The Trent House Museum Shop features special items and seasonal gifts. Event proceeds will benefit the curatorial work and educational programming of the non-profit Trent House Association. The Annual Mill Hill Holiday House Tour will also be happening nearby on Saturday, December 1st - make it a Trenton day! 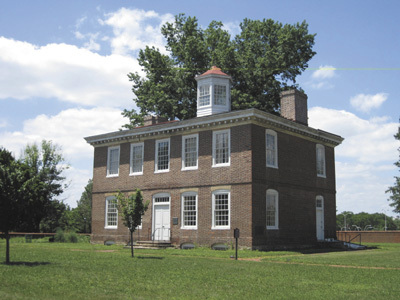 The 1719 William Trent House, listed on the National Register of Historic Places and a National Historic Landmark, is the oldest building in our state capital. It is located at 15 Market Street in Trenton, adjacent to the Hughes Justice Complex. Ample free parking. For more information and directions, visit www.williamtrenthouse.org, e-mail trenthouseassociation@verizon.net or call 609-989-0087. The Madison Historical Society's Annual Holiday Wreath Sale will be held on Saturday, December 1st between 1:00 - 4:00 pm at the Hartley Dodge Memorial. This year's sale will add a large number of table and mantle decorations to the many beautiful wreaths offered for sale. The wreaths and decorations are made through the efforts of members of the historical society, the Madison Garden Club, and Madison High School art students. "Proceeds from the sale will go toward the restoration and preservation of the small outbuilding located on the Luke Miller forge site," stated society president Susan Simon. "After restoration, the building will be used to showcase revolutionary-era artifacts found on the historic property. "Having the wreath sale at the Hartley Dodge Memorial, will give Madison residents and visitors an opportunity to view the over 100 historical photographs that have been hung throughout the recently renovated building," noted society vice president and program chairperson Cathie Coultas. "The images come from the collections of the Madison Historical Society, the Madison Public Library, and the private collection of Nicolas Platt. These original photographs were then professionally scanned and reproduced by Park Lane Studios of Chatham." Popular Madison jazz pianist Jerry Vezza will provide musical entertainment, and light refreshments will be served throughout the afternoon. The Madison Historical Society's role is to assemble, record, and preserve all matters of historical interest concerning Madison and its residents. Formed in 1922 to preserve the old Bottle Hill Tavern, the Society has organized a significant collection of historic documents, maps and photographs over the intervening years. These are housed at the Local History Center at the Madison Public Library. For more information about the society or to inquire about membership, call 973-377-0722, ext 8 or visit www.madisonhistoricalsociety.org. 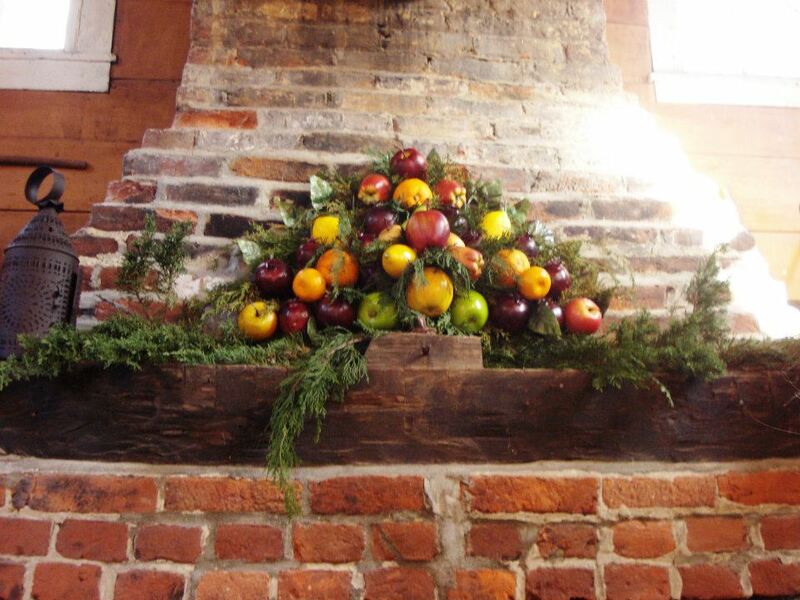 Historic Cold Spring Village opens its Homespun Holidays season with Wassail Day, on Saturday from 11:00 am - 3:00 pm. The village paths come alive with the sounds and smells of wintertime at this free event. Select buildings will also be open where guests can enjoy hot beverages and treats served by historical interpreters in period clothing. Visitors can meet Father Christmas in the Country Store from 12:00 noon - 2:00 pm and enjoy a horse-drawn carriage ride throughout the festively decorated village grounds for a small donation. Holiday traditions continue each Saturday and Sunday in December through the 23rd. The Country Store will be open from 11:00 am - 3:00 pm and stocked with unique holiday gift ideas including traditionally processed wool, artisan crafts for the home, books, hand-knit caps, wooden toys and old-fashioned candy. Father Christmas will visit the Country Store weekends from 12:00 - 2:00 pm, taking pictures and meeting with kids of all ages. Guests can enjoy carriage rides throughout the village and visit the Welcome Center for a model railway exhibit from 11:00 am - 3:00 pm. When the holiday shopping and sightseeing is done, families can get into the spirit of the season with Cape Island Theatre Company's family-friendly play, "Carl's Kris Kringle." Written and produced by Ray Crew, "Carl's Kris Kringle" will be presented at the Old Grange Restaurant by Tony Clark on the grounds of Historic Cold Spring Village at 3:00 pm on Saturdays and Sundays from December 1st through 16th. "Carl's Kris Kringle" tells the story of a dreamer who buys a run-down radio station in a small Southern town only to find that he and his pregnant wife are flat broke a week before Christmas. To solve his problems, he needs a man who hates Christmas to play Santa. What happens next will make you laugh and warm your heart. In lieu of ticket sales, Cape Island Theatre Company will be collecting donations for Volunteers in Medicine of Cape May County, a free medical clinic serving low-income residents of Cape May County with no access to health insurance. Doors open at 2:30 pm. Seating is limited and available on a first-come, first-served basis. For more information, please call the Cape Island Theatre Company at 609-408-6595. Historic Cold Spring Village is located on Route 9, three miles north of Victorian Cape May and a mile and a half west of the southern end of the Garden State Parkway. For more information, call (609) 898-2300, ext. 10 or visit www.hcsv.org. On Saturday, tour homes in historic Salem as Main Street Salem hosts the 25th Annual Yuletide Open House Tour from 1:00 - 6:00 pm. Visit historic homes, churches, and museums, featuring quilting demonstrations, exhibits, and characters from the past. Shop for antiques, local art and collectibles. Tickets are $10 each for adults. For additional information, call 856-935-8800 or 856-339-0400. Make a day of it: The Salem Magic of Christmas Parade will be held at 11:00 am Saturday and the Town Tree Lighting will be held at 6:30 pm. For more information visit www.salemcitynj.com or www.facebook.com/salemyuletidetour. Attend a Holiday Open House sponsored by the Cox Committee and the Friends of the Cox House on Saturday from 6:30 to 8:00 pm. Watch Santa Claus light the downtown from the historic Cox House. The Cox House will be festively decorated with period trees, lights, and special holiday collections. Free tours of the house will be provided. 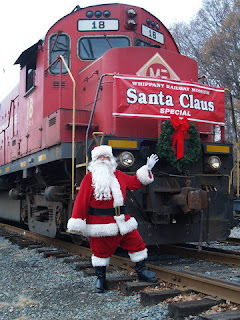 Join us as Santa and Mrs. Claus cruise by on their sleigh escorted by “reindeer” provided by the Barnegat Volunteer Fire Company and magically make the lights sparkle at the Cox House and the park. Light refreshments will be served. The Cox House is located at 353 North Main Street in Barnegat, NJ. "Home for the Holidays, 1945"
On Saturday and Sunday, from 11:00 am - 4:00 pm each day, the Township of Ocean Historical Museum, hosts the exhibit, "Home for the Holidays, 1945." The Eden Woolley House, home of the museum, is transformed to tell the story of the first post-World War II Christmas - what has been called America's greatest celebration. It was an extraordinary time in our history. At war's end, the U.S. government went to heroic lengths to get GIs so long separated from loved ones home for the holidays. "Operation Magic Carpet" returned tens of thousands of GIs from Europe and Asia. "Operation Santa Claus" expedited their discharge. The holidays of 1945 were an unprecedented and perhaps unmatched time of celebration, gratitude, and joy. The sacrifice and separation of the war years were past. Housing shortages, unemployment, labor strife, and civil injustices lay ahead. But for a few weeks, the country could put its challenges aside and rejoice in the war's end and the return of loved ones. The "Home for the Holidays" weekend captures the spirit. A mini-exhibit contrasts the bittersweet war-year holidays with the exuberance of 1945. Also on display will be war-era model trains, doll houses, and toys. There will also be a Holiday Shop and Bakery, filled with one-of-a-kind, handmade crafts and homemade goodies. The Ocean Township Garden Club fills the Woolley House porch with freshly made wreaths and swags. There's a "Santa Hunt" for the kids, caroling by the Ocean Township Choir at 2:00 pm on Sunday, tours of the museum grounds both days, and the drawing of the winning quilt raffle ticket Sunday at 3:00 pm. The Tewksbury Historical Society's 9th annual Christmas Antique Show will be held at the Old Turnpike School, 173 Old Turnpike Road (County Route 517) in the Fairmount section of Tewksbury Township. The show will run Saturday from 10:00 am to 5:00 pm and Sunday from 11:00 am to 4:00 pm. Admission is $8.00 per person on Saturday and $6.00 per person on Sunday. Over 40 quality antique and collectibles dealers from NJ, NY and PA return every year. Be sure to visit the society's tables to find the new Tewksbury afghan, which returns with new buildings and sites depicted after a seven-year hiatus, as well as local books, prints, post cards and more for sale for your holiday shopping. For further information visit www.tewksburyhistory.net, e-mail at tewksburyhistory@earthlink.net or call the Tewksbury Historical Society Headquarters at 908-832-6734. Learn what life was like on the home front and in a Union Army encampment during the Civil War at Historic Speedwell on Saturday from 12:00 noon - 5:00 pm and Sunday from 12:00 noon - 4:00 pm. At the encampment, visit with soldiers near their authentically reproduced huts, where they will prepare their holiday meal over a campfire. Enjoy a Civil War Era Officer’s Ball complete with period music, costumes and dance. At home, listen to the family read actual letters from Union troops written to their family members. Tour the Vail Home decorated to the mid-19th century, as family members prepare to send care packages to loved ones on the front. Make a craft to take home and enjoy hot-mulled cider and holiday cookies next to a roaring fire. Admission: $7 for adults, $6 for seniors, $5 for children 4-16. Call 973-285-6538 for more information or visit www.speedwell.org. This re-created 19th century village comes to life during the holidays. 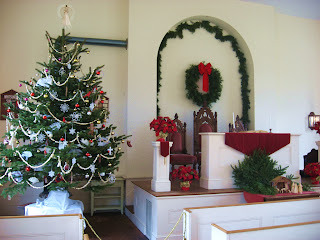 "Christmas at Allaire," depicts old-world holiday traditions and customs in the historic buildings. Carolers will wander the streets, period vocal and instrumental music will be performed at historic Christ Episcopal Church, and there will be mummer plays, hearth cooking, and apple drying and stringing. Admission: $7 for adults, $4.00 for children. The Historic Village at Allaire is located in Allaire State Park at 4263 Atlantic Ave, Farmingdale, New Jersey 07727. Tickets are available at the gate or can be purchased through their web site. Call 732-919-3500 for more information or visit www.allairevillage.org. Macculloch Hall Historical Museum invites you to step back in time and join us this holiday season. Decorated for the holidays in traditional style by the Garden Club of Morristown, this gorgeous historic home provides a lovely setting to kick off the holiday season in luxurious surroundings. The home features the museum's collection of holiday-themed original artwork by caricaturist Thomas Nast. 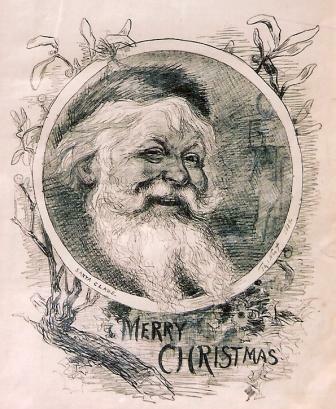 A well-known political cartoonist who popularized the Democratic Donkey and the Republican Elephant, Nast also contributed to America's contemporary image of Santa Claus. Visitors will find more than thirty of Thomas Nast's original Santa and Christmas images throughout the museum's galleries and period rooms. Macculloch Hall Historical Museum has the largest collection of Nast originals in the nation. See the decorations, Christmas exhibit Home for the Holidays featuring antique ornaments and toys, iconic Thomas Nast Christmas images and enjoy tours of the period rooms dressed with greenery for the holiday. Find unique gifts created just for the museum's expanded holiday shop. Special items include Thomas Nast Christmas cards and ornaments, along with other traditional toys and unique stocking stuffers. Visitors will have the opportunity to enjoy the upstairs gallery exhibit, which in past years has included holiday ornaments and toys on loan from private collectors, as well as holiday-themed Thomas Nast artwork; the exhibit theme and content changes each year so there is always something new to see! The weekend of December 1st and 2nd the Museum will be open 1:00 pm - 4:00 pm for special tours through the decorated period rooms. The Christmas exhibit and holiday decorations will be on view during open hours in December and January on Wednesdays, Thursdays and Sundays 1:00 pm - 4:00 pm; please visit the website for holiday closings. At 4:30 pm on Sunday December 2nd join us for holiday music when "The Early Music Players" perform "Carols and Capers: A Music Celebration from the Olde and New Worlds" which celebrates the season with a collection of beautifully performed holiday music from various countries spanning the Medieval, Renaissance and Baroque periods (1300s - 1700s). The Players will appear in historical costume and will perform with a variety of period reproduction wind and string instruments, such as the flute, recorder, gemshorn, krummhorn, viola da gamba and more. Tickets available on the day of the program, no advance sales. Please visit www.maccullochhall.org for full details and ticket pricing. The museum is open for house and exhibit tours on Wednesdays, Thursdays, and Sundays from 1:00 to 4:00 pm. The last tickets for admission are sold at 3:00 pm. Admission is $8 Adults; $6 Seniors; Children 6 - 12 years $4, Children 5 years and under and Museum members are free. The Museum closes for the holiday break at 4:00 pm on Thursday December 20th and reopens for tours at 1:00 pm on Wednesday January 2, 2013. For information, call the Museum weekdays at 973-538-2404 or visit www.maccullochhall.org. Macculloch Hall Historical Museum, 45 Macculloch Avenue, Morristown, NJ 07960. The Jefferson Township Museum, also known as the George Chamberlain House, is proud to present "A Woodland Christmas" as part of the "Christmas in the Village" celebration. The museum will be open 10:00 am - 4:00 pm on Saturday and 12:00 noon - 4:00 pm on Sunday. "A Woodland Christmas" will create a feeling of being in a rustic lodge where Santa will be greeted by his woodland friends. Each room of the museum will be decorated using natural materials. The Christmas celebration is the only time the antique harmonium in the parlor is played. The museum is decorated by members of the Museum Garden Club and the Jefferson Township Historical Society. 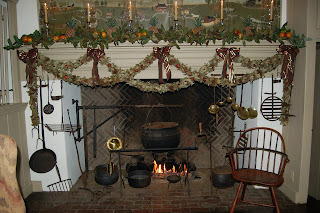 Docents dressed in period costumes will be on hand, and hot cider will be served outside by the pot-bellied stove. Admission to the Museum is free. The Jefferson Township Museum, located at 315 Dover-Milton Road. Be sure to visit Miss Elizabeth's Shoppe located in the original kitchen of the museum, where small antiques, collectibles, handmade and handcrafted items will be offered for sale for your holiday shopping. For further information, visit www.jthistoricalsociety.org or call Christine, Jefferson Township Historical Society President, at 973-697-0258. Stop by the Ramsaysburg Homestead on Sunday from 1:00 - 4:00 pm for "Chirstmas in the Country." Enjoy children’s ornament-making, Triple Creek Farm Christmas Tree displays and wreath-making demonstrations, Seasonal Music by Dennis Melillo and Donna Kizonak, Refreshments, and the Brook Hollow Winery Holiday Gift Basket Raffle. This event is sponsored by the Knowlton Township Historic Commission. The homestead is located at Rt. 46 and Hope-Ramsayburg Road. 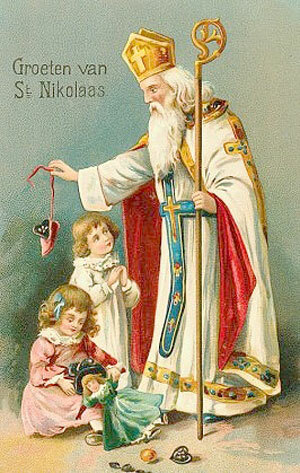 For more information call 908-475-5352 or visit www.historicknowlton.org. Holiday greenery, ribbons, hydrangeas, magnolia leaves and lots of clever decorating ideas will greet visitors at the 1845 Doric House at 114 Main Street in Flemington starting Sunday, December 2, the day of borough's holiday parade. The museum, open at no charge by the Hunterdon County Historical Society, also will welcome guests for tours on the following two weekends, December 8-9 and 15-16. Hours each day are 1:00 to 4:00 pm. In the high-style parlor, the Hunterdon Hills Garden Club's theme, Waiting for Christmas, uses magnolia leaves and hydrangeas, burgundy ribbon and white accents of chandelier crystals and crocheted snowflakes on the tree and around the room. Old-fashioned tree candles also decorate the tree and toys from the mid-1800s lay under it. Stockings hang from the marble mantle. The Springfield Historical Society will host a Holiday Open House on Sunday from 2:00 to 4:00 pm at the historic Cannon Ball House, located at 126 Morris Avenue, Springfield. Light refreshments will be served. Admission is free but free-will donations are always appreciated. History buffs of all ages are invited to a ‘High Tea benefit’ on Sunday from 2:00 - 4:00 pm at the Historic Jersey City & Harsimus Memorial Park’s Gatekeeper House, hosted by the George Washington Commemorative Society of Jersey City as they honor the legendary Revolutionary War General and first President of these United States. The event will feature a presentation on Jersey City’s famous Revolutionary War ‘Battle of Paulus Hook and the British Occupation’ by Dr. Richard Winant, Vice President of the GW Society, and Revolutionary War historian and reenactor. Participate with Dr. Winant as he recreates the “13 Toasts” offered at Washington’s Evacuation Dinner held at Fraunces Tavern in NYC in November 1783. The Gatekeeper House (built in 1831) at the Historic Jersey City & Harsimus Memorial Park is located at 435 Newark Avenue, in downtown Jersey City. The George Washington Society suggests a donation of $20 that will benefit both the George Washington Society and the Historic Jersey City & Harsimus Memorial Park. This donation entitles you to complimentary membership to the GW Society. "Christmas Past at the Armstrong House" is this year's theme for the Annual Old-Fashioned Holiday Weekends offered by the Montague Association for the Restoration of Community History (M.A.R.C.H.). All events will be held at the circa 1790 Foster-Armstrong House, located at 320 River Road, in Montague. The historical society will open this museum on three consecutive weekends for the public to enjoy the special holiday displays. 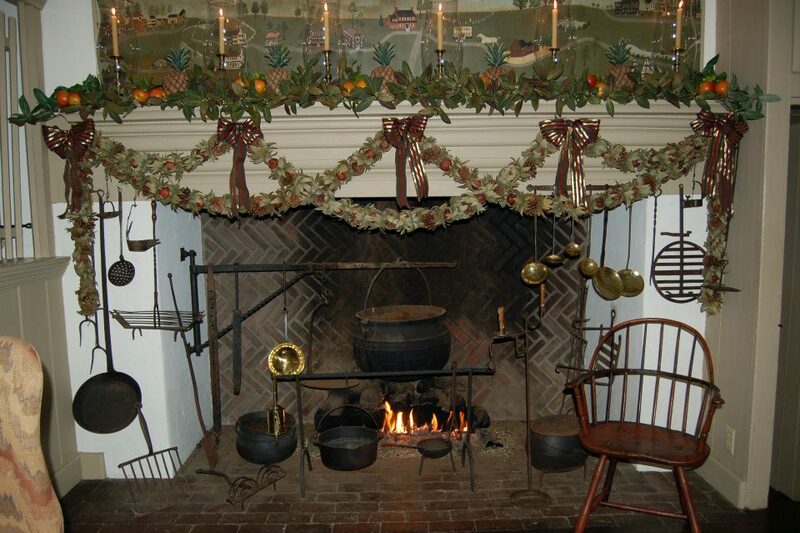 Costumed docents will lead visitors through five decorated rooms on the first floor of the house. The house will open from 1:00 pm to 4:00 pm on Sunday, December 2nd; Saturday, December 8th and Sunday, December 9th. A special Candlelight Tour from 6:00 pm - 8:30 pm will be held on Saturday, December 1st. No afternoon tour that day. The last tour will be conducted 30 minutes before closing on each of the six days. All openings are held weather-permitting.